CAHF has recently completed three studies that give us clearer answers to these two questions, and many others as well. The studies are ground-breaking in their approaches, venturing into territories where real information is scarce, and data to build that information severely lacking. While we don’t claim to have definitively answered these questions, we have come a long way to develop replicable approaches that give us more certainty than ever before. And this, we hope, will be the foundation on which better and more accurate information will grow across the African continent. In the first report of the series, we describe, quantify and compare the housing economic value chains of South Africa, Rwanda, Kenya and Nigeria. The report analyses the impact that housing construction and housing rental have on developing economies, and which sectors of the national economy are most impacted by these activities. Subsequent reports focus exclusively on South Africa and Rwanda. 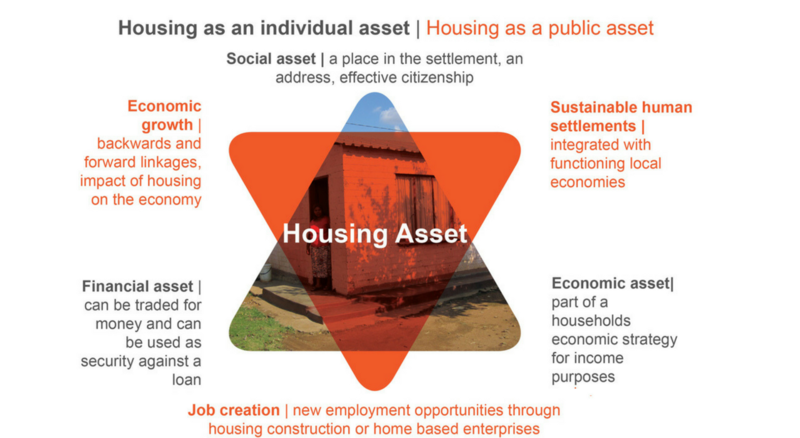 In addition, we will share with you how these studies – one viewing housing from a macro-economic viewpoint, and the other from a micro-economic viewpoint, start to combine to build a better picture of the role of housing in developing economies. Check back for additional reports as we undertake this housing economic value chain analysis in Nigeria, Tanzania and Uganda, as well as Cote d’Ivoire.